Best Cloud ERP Systems Comparison 2019 - Who Tops Our Analysis? Companies adopting ERP in the cloud are also focusing on how they can be smart about planning and managing rapid growth. Manufacturers tend to be more selective and successful with the growth strategies they pursue based on the insights gained from cloud based ERP systems. This means that mergers and acquisitions help to fuel cloud ERP adoption. The new business entities created from these transactions seek to improve product quality and speed. Oftentimes, it’s the most urgent problems about product quality; production efficiency; disconnects between sales, engineering and production; and meeting order delivery dates that motivate organizations to improve. High-growth organizations face these challenges and more, and it’s often because their existing ERP system can’t scale for the new production volumes and complexity of growth. Many of today’s organizations are relying on a single, scalable cloud ERP system across all manufacturing locations to improve their product quality. Quality and compliance systems are often siloed from other manufacturing and accounting systems, making it very difficult to get a company-wide view of quality. Cloud ERP software is seeing rapid growth in this area by providing a scalable system of record based on a single database. Quality becomes strategic, compliance becomes more manageable and customer satisfaction improves. The era of real-time production and process monitoring is here. From small and medium-sized manufacturing companies to global leaders, all are adopting real-time production and process monitoring at a quickening pace. Improving manufacturing execution, production efficiency and increasing the percentage of orders delivered on time to customers are just a few of the many factors driving cloud ERP adoption. Better support for short lead times and the rapid ability to adjust schedules and incorporate design changes has been a game-changer. Manufacturers often remark that the ability to support short lead times and adjust schedules to support their customers’ supply changes wins them more business. Cloud ERP software and the platforms they’re built on are providing manufacturers with the tools they need to capitalize on these last-minute opportunities for more revenue. Analytics, including business intelligence and manufacturing intelligence, has become essential for running a modern manufacturing or service business. 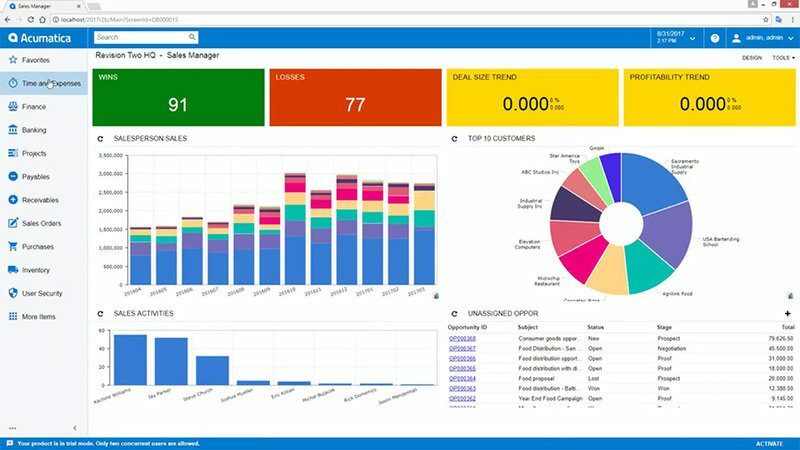 Across all industries, analytics and BI are delivering insights that weren’t available before, enabling manufacturers and service providers to know more about their operations than ever before. Cloud ERP systems designed on a single database structure build in analytics and reporting so every phase of manufacturing can gain access and insights, as well as improve operations. Cloud ERP systems are also becoming adept at providing advanced manufacturing metrics, including overall equipment effectiveness (OEE). Mobility is a must-have for manufacturers who want to manage their operations without sitting at their desks all day. Cloud ERP systems and the platforms they’re built on support mobile access to apps from any device that has an Internet connection anywhere in the world. Employees of all kinds — from quality assurance to engineering to scheduling teams — want to work untethered to their desks and be on the production floor getting work done. Cloud-based ERP systems are making this possible. The quickening pace of mergers and acquisitions across manufacturing industries is one of the key catalysts of ERP cloud software adoption. For many small and mid-tier manufacturers, the most attractive exit strategy is to either merge or sell their company to one of the larger global manufacturing companies that aggregate smaller businesses together. Integrating legacy ERP systems between two or more merged manufacturers can be a lengthy and expensive process. Cloud ERP systems are often relied upon to provide a system of record that scales across the new entity, delivering the analytics, metrics and key performance indicators (KPIs) needed to track progress towards their goals. The increased rate of adoption of hosted and managed services is also helping to drive greater cloud ERP adoption. In fast-growing organizations, it’s a challenge to keep ERP, MES and the broader base of IT systems current and reliably integrated. Hosted and managed services are growing as more organizations look to outsource their IT infrastructure to third parties that are experts in scalability, security and uptime. Delivering an excellent user experience, including the defining and fine-tuning of application interfaces over time, is easier to accomplish with cloud ERP systems. For organizations with complex user interfaces on their legacy ERP systems, a cloud ERP solution can help drastically reduce the confusion and complexity of how each application’s screen looks and interacts with other aspects of the system. Many SaaS ERP systems have current-generation user interface (UI) technologies and workflows that enable role-based designs of individual screens. Cloud ERP systems have won the UI war by providing support for responsive web design on mobile devices, increasing both adoption and, just as importantly, use. Manufacturers are relying on cloud ERP systems to better plan and manage growth while improving business performance. They’re relying on the real-time data available from cloud ERP systems to be more selective and successful with the growth strategies they pursue. A big part of any successful growth strategy is turning customers into fans and evangelists. With the majority of revenue coming from existing customers via upselling and cross-selling new products and services, having real-time data on product and delivery dates are key to growth. Panorama Consulting Solution’s 2017 Report on ERP Systems & Enterprise Software found the top reason organizations are implementing ERP today is to improve business performance. Reducing one-time costs while providing organizations with greater flexibility for managing their business processes has become a necessity of late. The graphic below from Price Waterhouse Coopers’ (PwC) published study, Beyond ERP: New technology, New Options, illustrates the cost savings of taking the first steps towards pursuing a cloud ERP strategy. The majority of companies seek to integrate their legacy data while relying on the latest cloud ERP system features in order to gain the information they need to operate their businesses better. Which Vendors Offer the Best Cloud ERP in 2019? Acumatica’s cloud-based ERP system is designed to meet the needs of small and medium-sized businesses (SMBs) and mid-market organizations. The company’s core verticals include distribution, manufacturing, professional services, retail/eCommerce and technology development firms. These firms focus on software, property management and nonprofit activities. Supported deployment models include multi-tenant SaaS, hosted by partners, hosted by Acumatica and on-premise. Acumatica’s cloud applications run on the Microsoft Azure operating system and rely on SQL Azure. The depth of Azure expertise inside Acumatica is impressive, given the size of the total company. It’s evident that this is an area of high priority for the company. Acumatica continues to improve its user interface and has made gains in the last 12 to 18 months on its mobility options. Customers speak highly of the improved, more intuitive user experience across all platforms. Acumatica has also augmented its financial reporting tools that provide additional data, yet are a challenge to edit and change on the fly. Weaknesses of this ERP platform continue to be in the areas of CRM integration, analytics and reporting. These areas need more depth of functionality to meet many customer’s expectations and financial users, including CFOs, report that it’s difficult to integrate financial reports. Foreign currencies and configuring security also aren’t as intuitive as customers would like. Founded in 1989 and headquartered in Paso Robles, CA, IQMS is an award-winning provider of cloud ERP solutions for a wide variety of manufacturing industries. IQMS is considered to be the cloud ERP leader in plastics manufacturing, as their flagship Enterprise IQ system was designed by the founder to streamline a GE Plastics manufacturing plant he managed before starting the company. IQMS has proven expertise in the automotive, aerospace and defense, medical products, plastics manufacturing, packaging and other process-centric industries. The provider has regional offices located throughout North America and Europe, in addition to a growing network of global channel partners. The IQMS solution integrates enterprise resource planning and manufacturing operations functionality using a single Oracle database. By relying on this single database, IQMS ensures accounting, CRM, quality management, real-time monitoring, purchasing, EDI, reporting/business intelligence, production planning/scheduling, real-time shop floor control and warehouse, shipping, inventory and overall supply chain management all rely on the same system of record. IQMS’ cloud-based ERP systems are known for their ease of use, excellent navigation, and how quickly system users can jump between modules and drill down on production workflow areas of interest. 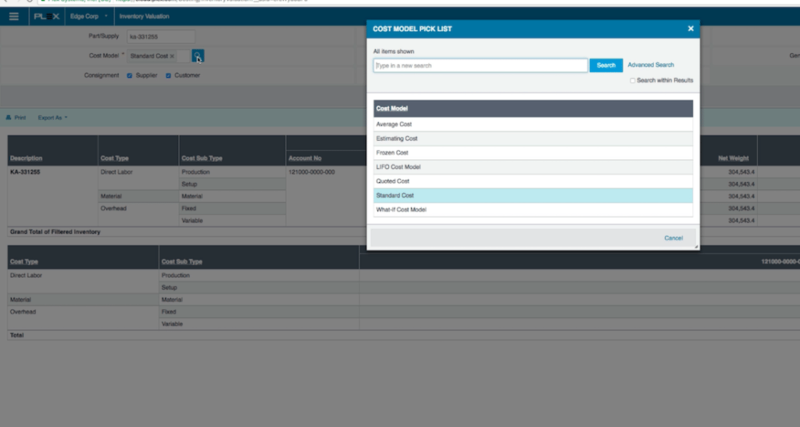 The IQMS ERP suite of applications also supports a wide variety of Bill of Materials (BOM) and configuration, which make this cloud ERP system ideal for complex manufacturing. In addition, users report that tracking products from finished goods to purchase orders is easy to navigate. Microsoft continues to invest heavily in Dynamics AX, and it shows in the user interface, financials, projects module, global support and cloud performance running on Microsoft Azure. Microsoft has had its ups and downs with its global partner organizations, but they’ve turned this into a strength that’s delivering solutions across its core verticals of distribution, manufacturing, retailing and professional services. Microsoft’s AX development team has made accounts receivable and accounts payable more agile when managing multiple sites, which has long been a request from larger customers. Also, the tight integration with other Microsoft products is a core strength of the AX architecture and supported workflows. Customers also find the inventory management module flexible and easy to use. Weaknesses include limitations scaling for international deployments, an inability to add notes to the accounts payable department and challenges in syncing with third-party apps to generate more useful reports. One of the original cloud ERP vendors, NetSuite helped create the category by using agile development methodologies to release new updates quickly while competing successfully against legacy ERP vendors. To their credit, NetSuite continues to win deals, replace legacy ERP systems and, at a minimum, integrate with them using a two-tier ERP strategy. Strengths include an improved user interface over the last year, greater customization, availability for any web-enabled device, search and eCommerce. NetSuite has several weaknesses according to conversations with customers. These include weak inventory management between multiple branches, a substandard search function within reports and a slow and clunky mobile app. NetSuite excels in retail, fashion & apparel, internet & software companies and wholesale distribution, yet isn’t as proven in large-scale multiplant manufacturing implementations. Originally founded to meet the needs of automotive suppliers in the upper Midwest, Plex Systems is one of the most recognized cloud ERP providers globally, based on their strong marketing, selling and product development teams. Their depth of expertise in automotive manufacturing, food & beverage, aerospace & defense and other lean manufacturing industries is impressive. The company’s deep expertise in core manufacturing-based areas of ERP is reflected in the high renewals rate attained each year with their customers. Core expertise areas include consolidate to report, design to make, order to cash, plan to produce, procure to pay and reconcile to report. Plex also has expertise in quality management, track and traceability and finite scheduling. 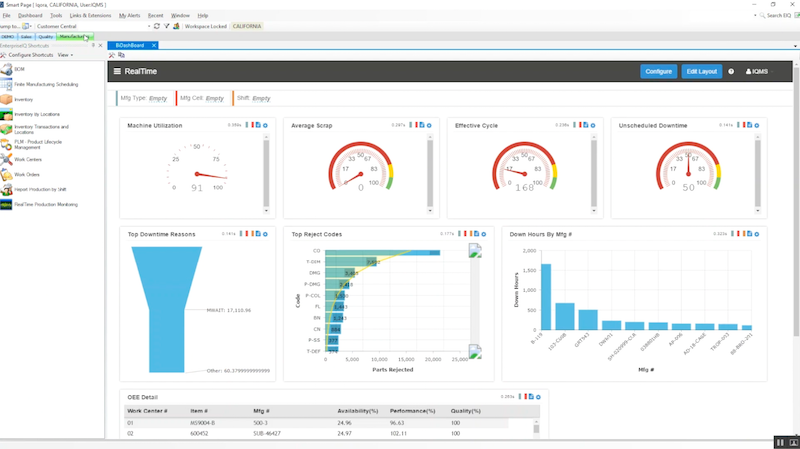 Like other cloud ERP providers, Plex continues to invest in analytics and BI applications while continually improving their mobile-based applications. The latest products include new supply chain planning solutions that include Plex Master Scheduling, Plex Sales & Operations Planning, Plex Distribution Planning and Plex Online. Plex is also a leader in delivering two-tier ERP systems to many of the leading industrial manufacturers globally who integrate Plex applications to their legacy ERP systems. Plex’s weaknesses include a complex pricing model that relies on either revenue or headcount, weak support for multilevel bill of materials (BOM) and challenges making all applications reflect the same UI. Despite these weaknesses, Plex is the go-to cloud ERP vendor for automotive suppliers who provide metal forming manufacturing support to Tier 1 automotive OEMs. In January of this year, Rootstock acquired Kenandy, expanding their customer base and adding in Kenandy’s suite of ERP applications. Like Rootstock, Kenandy is built on the Salesforce platform. Rootstock was launched in 2008 and has established itself as one of the leading cloud-based ERP solutions for manufacturing, distribution and supply chain for SMBs and mid-tier companies. The company operates throughout North America, Europe and Asia Pacific. Built entirely on the Salesforce.com Force platform, all of Rootstock’s applications are available on the Salesforce.com AppExchange. Six core areas of manufacturing have emerged as their core strengths, including build to order ERP, build to stock ERP, engineer to order ERP, configure to order ERP, project-based ERP and hybrid ERP. They are one of the cloud ERP leaders for manufacturing on the Salesforce.com Force platform. Rootstock also has a partnership with FinancialForce.com that provides shared customers with a cloud ERP system that can scale across accounting, financial and manufacturing requirements. Customers complain that Rootstock relies on Visualforce too much for its pages. They say this provides visually appealing functionality yet it’s not as easy to customize pages to their specific needed. Often customers end up with extra clutter on screens due to Visualforce programming conventions. Customers like the FinancialForce integration, yet say they want cost of goods sold (COGS) to be proven down into material, labor and other costs to reflect how their business operates. After extending their products and services to vertical markets where they’ve proved themselves, cloud ERP providers are now focusing on how to sell more successfully to enterprises. Two-tier ERP selling strategies are now commonplace, where cloud ERP providers position themselves as a localized ERP instance integrated into the legacy ERP system. All the best cloud ERP providers are continuously adding to their analytics, BI, mobility and quality management systems. Keep this in mind as you search for your own cloud ERP system. If you already use a top cloud ERP, we’d love to hear from you in the comments! Let us know what vendor you use and what you like and dislike about the solution. ERP has come up with various data management ways for any enterprise and to maintain each record efficiently. Thank you for reading! While SAP didn’t make it to this list, it does have a top spot on our ERP Leaderboard found here: https://selecthub.com/erp-software/. We fully recognize this vendor’s contributions to the ERP market, however, we did not feel that it should be listed here per the scope of the article. We have an excellent cloud ERP for Arab countries support tow language easy, is user friendly, but we need advice on how to increase our share market in the Middle East. Thank You.